Picking the right time of year to visit Japan isn’t easy. 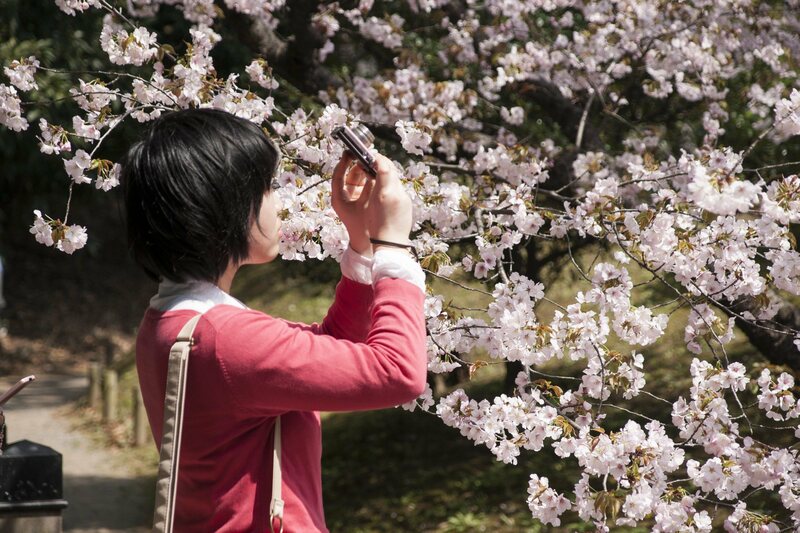 Many first-time visitors plan Japan holidays around cherry blossom in spring and koyo (the changing leaves) in autumn. 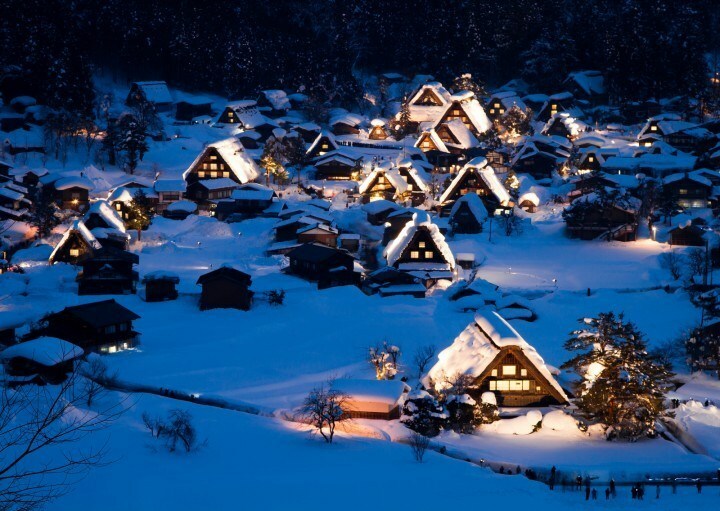 But if you’re happy to ignore the hype in favour of forging your own travels to Japan in December, you might well feel a little smug about the whole thing… I mean, who doesn’t love a winter wonderland? Granted, Japan is always beautiful, but in December the days, while shorter, are beautifully clear and bright with crisp fresh air. The best weather bonus of all? Unlike many times of year, you’re unlikely to spy all but the teeniest speck of rain. If you look at Japan on a map, you’ll see that the very top of Hokkaido in the north is just a short hop from Russia, but the Yaeyama Islands in the south are within touching distance of Taiwan. As such, conditions vary wildly. In Tokyo, Kyoto and Osaka, chilly weather prevails with temperatures averaging around 8°C. If you’re from a cold part of the world, this might feel balmy, but if not, do as the Japanese do and wrap up warm with plenty of layers. For those who really feel the chill, pick up some heat pads, toast your toes under kotatsu (tables with heaters underneath), warm up in an onsen (nature’s hot tub) and tuck into winter food. Talking of food, Japan has a wonderful way of adapting favourite dishes to match the seasons, e.g. 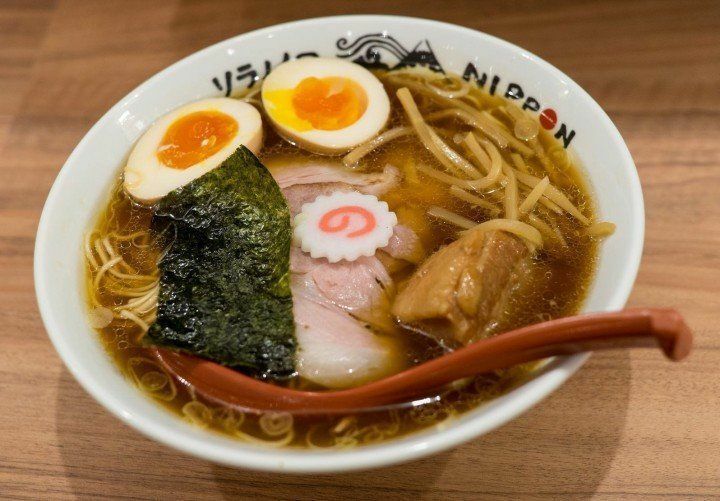 it’s not uncommon to eat chilled soba noodles or ramen in summer’s high humidity. In winter, steaming bowls of ramen or nabe (hot pot) not only fill you up – they are sumo wrestlers’ meal of choice, after all – but they thaw out even the chilliest of tourists. For a pre-5pm beverage, you can’t go wrong with a mug of matcha, and as the sun goes down there’s nothing better to bring warmth to winter nights than with a hot cup of amazake (sweet rice wine) or sake. Disclaimer: Japanese schools break up around 23rd December, so you can expect more domestic travellers and tourists, as well as busier public transport after this – particularly around New Year. 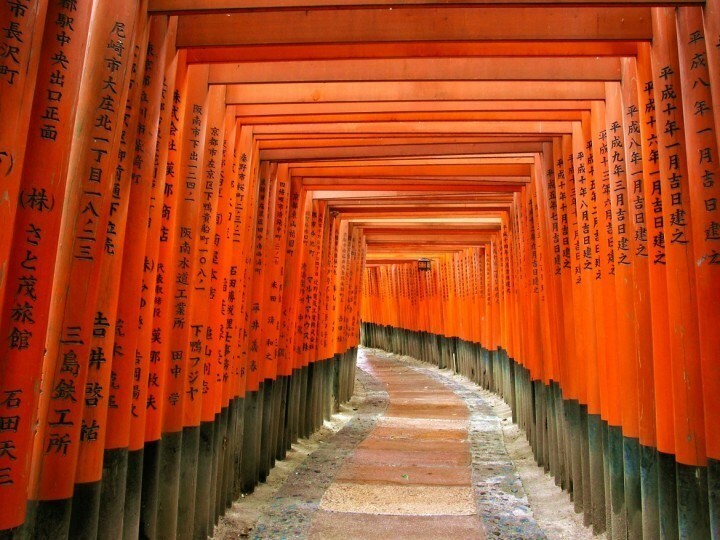 However, travel before then and popular attractions (such as the Fushimi Inari Shrine, pictured) and transport routes will be far quieter than at other times of year. As the low season, hotels may be cheaper too! If you’re worried about missing that sparkly run up to Christmas, don’t. Japan’s main religions are Shinto and Buddhism, but from the end of November, signs of the festive season come on thick and fast – you might even spot the occasional Christmas tree! As a celebration of winter, rather than Christmas, illuminations are not usually taken down until February. The most notable ones in the capital are in Marunouchi, Caretta shopping complex and the Tokyo Midtown complex. 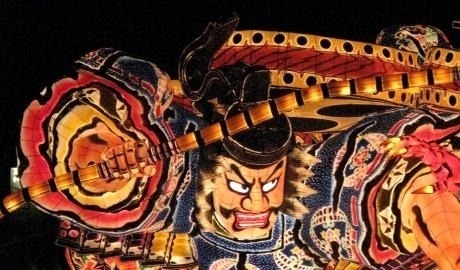 While no means an exhaustive list, highlights in the rest Japan include Kobe Luminarie (Kobe), Sendai Pageant of Starlight (Sendai), White Illuminations (Sapporo) and hanatoro where lanterns line the famous Arashiyama bamboo grove in Kyoto. Despite fireworks being ubiquitous during the summer festival months, we think they are at their finest when lighting up a clear December sky. Take a 90-minute train out of Tokyo to see the brightest fireworks of all at the Chichibu Night Festival in Saitama Prefecture. Arrive hungry (and thirsty) – there are plenty of yatai stalls selling street food and hot amazake sweet rice wine. 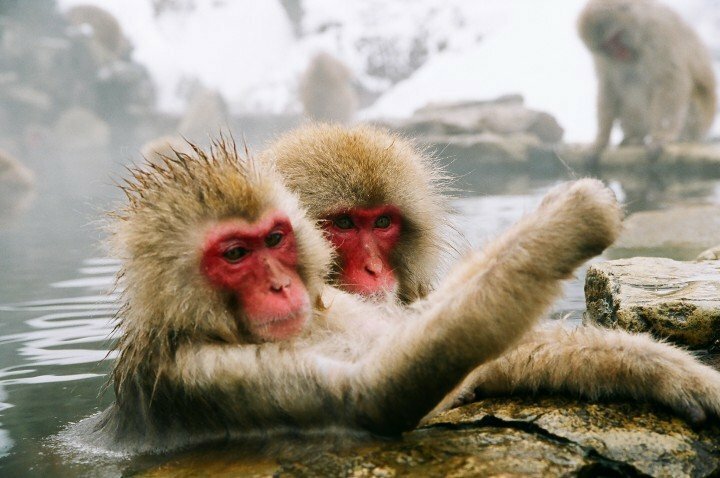 While visitors and locals alike swaddle up in coats and scarves, the snow monkeys of Yudanaka warm their furs in their very own onsen (hot spring bath); situated in a clearing between the trees of the Jigokudani National Park, they’ve certainly found themselves a plum spot. If your teeth are chattering thinking about it, head to Yonaguni Island in Okinawa and don a wetsuit to see hammerhead sharks instead. The first snowflakes drift towards ski resorts in December and melt away around mid-March. It’s worth planning your dates carefully if you’re a serious powder hound – while Japan has some of the best ski conditions in the world, the snow doesn’t always perform on demand. 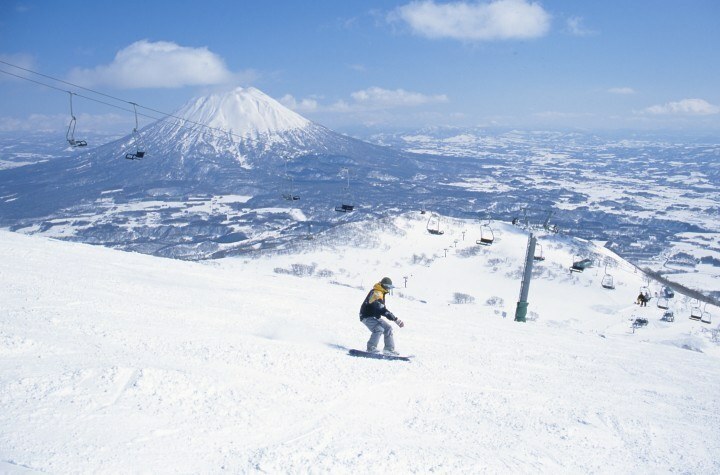 While we wouldn’t bet our bottom dollar on it, chances are the white stuff will grace you with its presence by the middle of December up in Hokkaido. Yep, you read that right – it is still possible to see the beautiful autumn leaves at the very beginning of December! While (like the snow) you shouldn’t count on it, you may well catch the tail-end in Kamakura, Tokyo and Kyoto. For a much better chance of seeing them, book your trip the last week of November into the first week of December – best of both worlds. Kabuki is a highly stylised form of traditional theatre. While most kabuki shows take place in Tokyo, in December the Kaomise, a performance representing the start of a new season and the introduction of new stars, comes to the Minami-za theatre in Kyoto. If the cosy joy of December and the prospect of escaping the crowds appeals to you, check out our Snow Country self-guided adventure, or contact our team for more information. Not convinced? 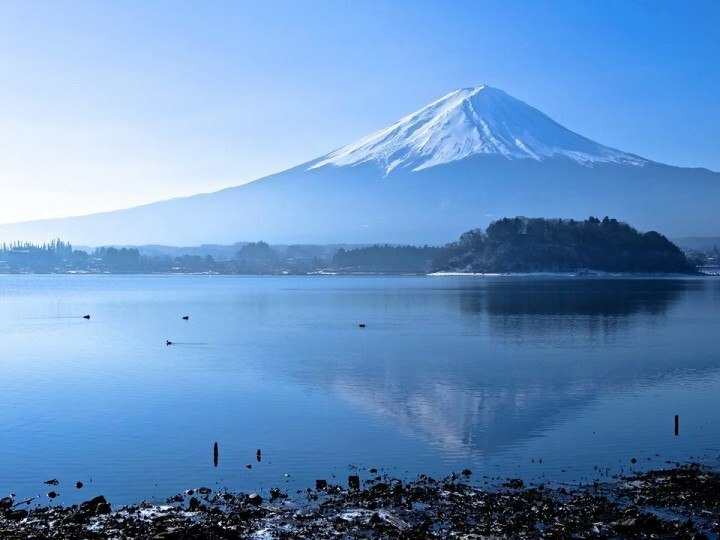 Head to When to Travel – as well as monthly Japan weather overviews, it also has a comprehensive events guide to help you plan your Japan vacation.